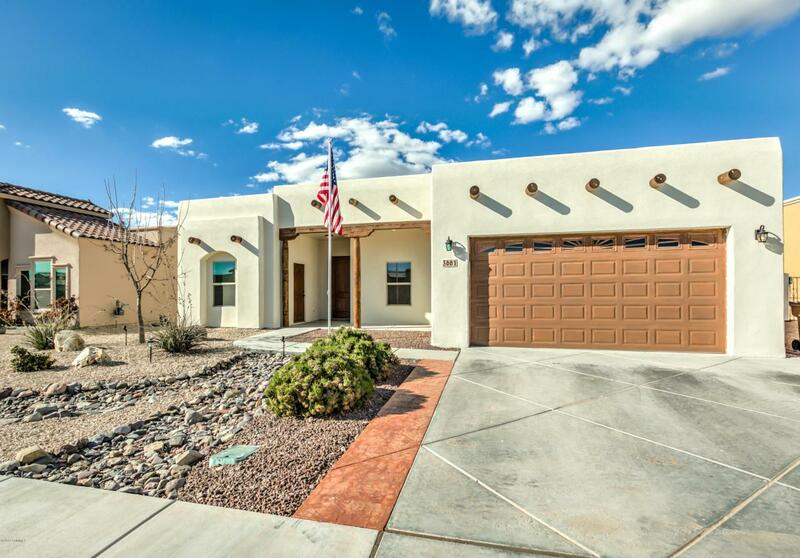 Immaculate home in the desirable Metro Verde subdivision. At over 2300 square ft of living space this 5-bedroom, 3-bathroom home boasts an open concept floor plan that is great for entertaining. A lot of thought and detail went into this one, with custom fixtures and high end finishes being in abundance. The Kitchen features an over-sized island, walk-in pantry, granite counter tops, custom cabinetry and back splash as well as stone accents. Enjoy the fireplace in the living room, open shelving, and a large dining area. The Master bedroom is very spacious with a large walk-in closet. The master bath has a double sink vanity, jetted tub and walk-in shower. Enjoy the split floor plan and Junior suite with a separate access door, great as in-law quarters. Backyard features an extended covered patio. Over-sized garage with 8ft door! Conveniently located near shopping, restaurants and with easy access to Hwy 70. Call today to schedule a showing!